Owing to the rivalry between the Super Bowl-bound Eagles and the Dallas Cowboys, folks here in Philadelphia find it nearly impossible to commend individuals who have any affiliation with the Texas-situated franchise. (I know people who thought having Hall of Fame quarterback Troy Aikman, who spent his entire career with the Cowboys, as one of FOX’s National Football Conference Championship Game announcers would doom the Birds. ).However, going against the grain here might be a good move for fans, especially since their club’s christening as an elite squad figures to make them a marketing heavyweight and because a legendary Cowboy could keep them from purchasing bogus commodities surrounding the athletes’ prowess. 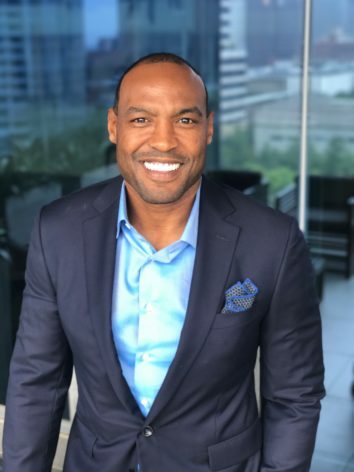 Thanks to an impressive group of investors, Darren Woodson is hoping for a fruitful future for CounterFind, a company that promises to hit back against phony products with as much verve as he exhibited in his professional journey as a standout safety. The 48-year-old comes with a winning pedigree, having helped “America’s Team” to claim three Super Bowl titles, and the awareness that counterfeit goods pose major problems for American consumers, with $460 billion worth of them bought and sold in 2016, according to the International Trademark Association. To tackle those totals, the five-time Pro Bowler enlists turnkey technology to combine “a proprietary filtering formula with industry expertise to recognize, report, and remove all ads marketing counterfeit merchandise on Facebook and all counterfeit product listings on Amazon in real time.” Marking its second full year of existence, CounterFind has aligned itself with some notable clients, including the Cowboys, WWE and Linkin Park, and recently tallied more than $1 million in funding to expand its emphasis on securing legitimate transactions. With nearly 50 brands in its stable, the Dallas-based entity is also looking to attract more attention to its platform, especially since Facebook and Amazon possess such clout among promotional products seekers. Much like he looked to prevent offenses from scoring touchdowns, the three-time All-Pro is poised to break up ne’er-do-wells’ hopes to revel at end-users’ expense. The more plans he intercepts, the better off we all will be.